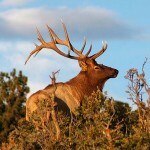 John’s Note: What many people don’t know about Wayne Carlton of Montrose, Colorado, is that for most of his life outdoorsmen knew him more for his turkey calling and hunting skills rather than hunting elk. 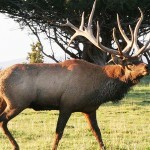 Carlton has helped develop many elk calls and has been very active in the Rocky Mountain Elk Foundation organization and shows. 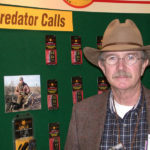 But, before he moved to the West, Wayne Carlton had his own line of turkey calls and was known across the East as a very-good turkey hunter and turkey caller. 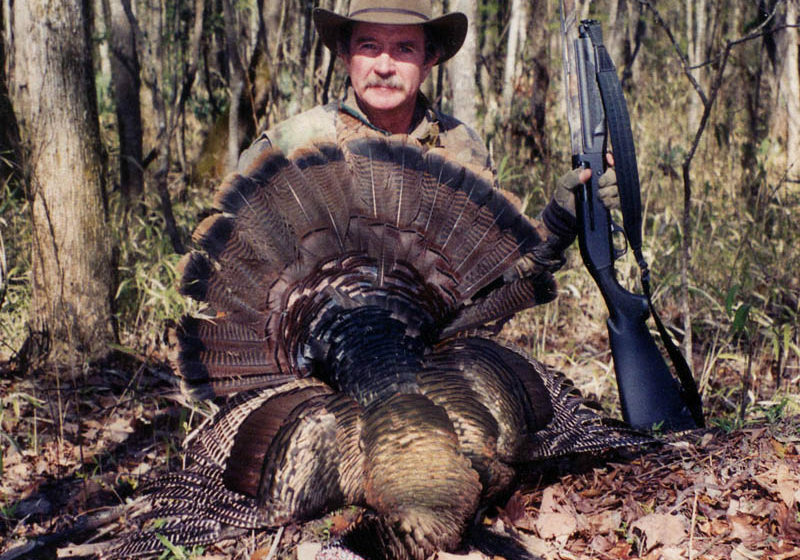 Carlton frequently does turkey hunting seminars and still loves to call, hunt and teach turkey hunting. On one particular hunt, I’d seen some turkeys strutting during the middle of the day. I told an older hunter I knew where to go to take one of these turkeys because he’d never taken a gobbler. But, instead of going to hunt the turkeys in the middle of the day, he went to the place I’d told him about and took a jake. Even after the older hunter had hunted that area in the morning, I returned to the site where I thought the turkeys would be. But, when I reached this region, the wind was blowing so hard, I hardly could hear myself think and knew I couldn’t hear a turkey. 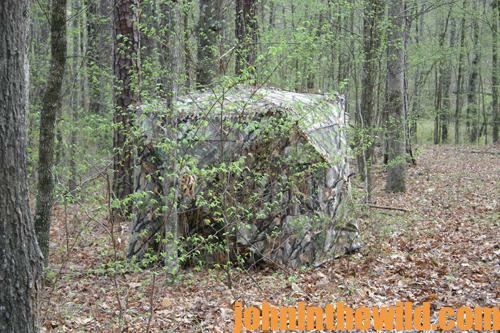 However, I decided to stay at the spot, set-up my blind, put my cameraman in a blind and see what would happen. Then I began calling as loudly and as obnoxiously as I could possibly call. I was hoping to get enough sound out that maybe a gobbler could hear me. I hadn’t been on stand for more than 15 minutes when I thought I heard a turkey gobble. I started calling again, and in less than 10 minutes, I called in and took a turkey with an 11-inch beard that had four jakes with him. * don’t try and call the turkeys to where you want them to come; instead go to where the turkeys want to be, and then start calling. 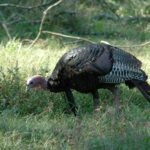 Even in a terrible wind, during a rain or in other bad-weather conditions, you’ll have a reasonably good chance of bagging a gobbler, if you’re hunting and calling turkeys where they want to be. 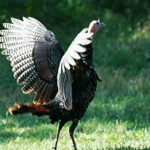 * gobblers usually strut in the same place at about the same time every day, just like the Middle-of-the-Day Gobbler did. If you get to the place where the turkey plans to strut before he arrives, then when he does come there, you can take him whether you call or not. 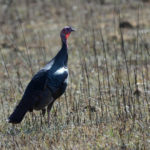 To learn more about turkey hunting, check out John E. Phillips’ print, Audible, Kindle and Nook turkey books at http://johninthewild.com/books/#turkey and at www.barnesandnoble.com. You also can download a free Kindle app that enables you to read the book on your iPad, computer or SmartPhone. You can learn more about calling turkeys by going to johninthewild.com/audio-files/ for audio turkey tapes to purchase of Lovett Williams, Rob Keck and Chris Kirby, available for download to your SmartPhone, tablet or computer. 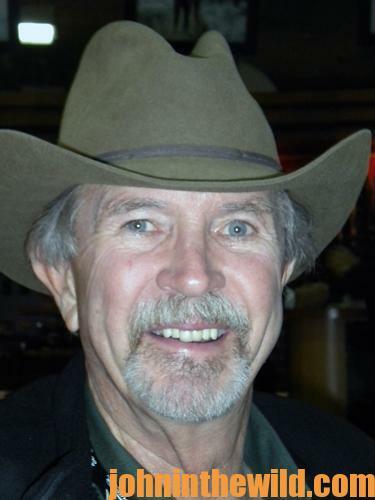 For a free copy of John E. Phillips’ “The Turkey Gobbler Getter Manual,” go to http://johninthewild.com/free-books/ to download.